Looking for a quick and easy dinner recipe? 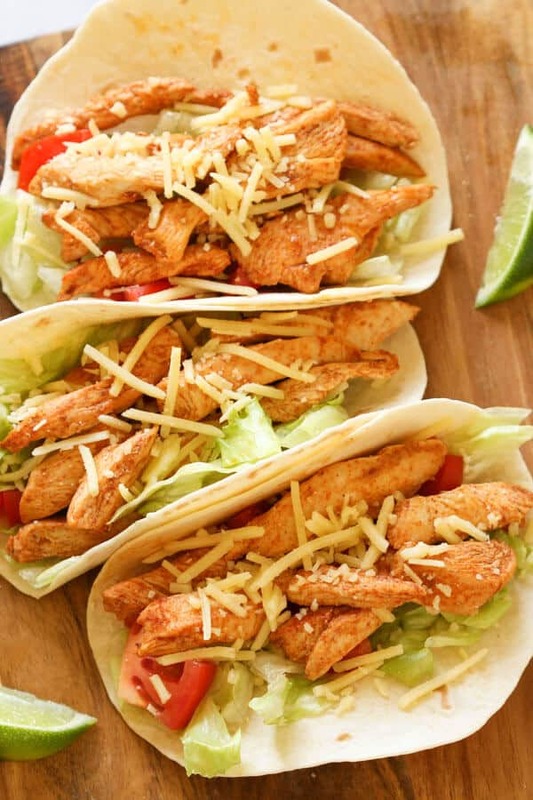 These Healthy Chicken Tacos are the answer. A one-pan dish that’s on the table in 25 minutes and full of flavour. 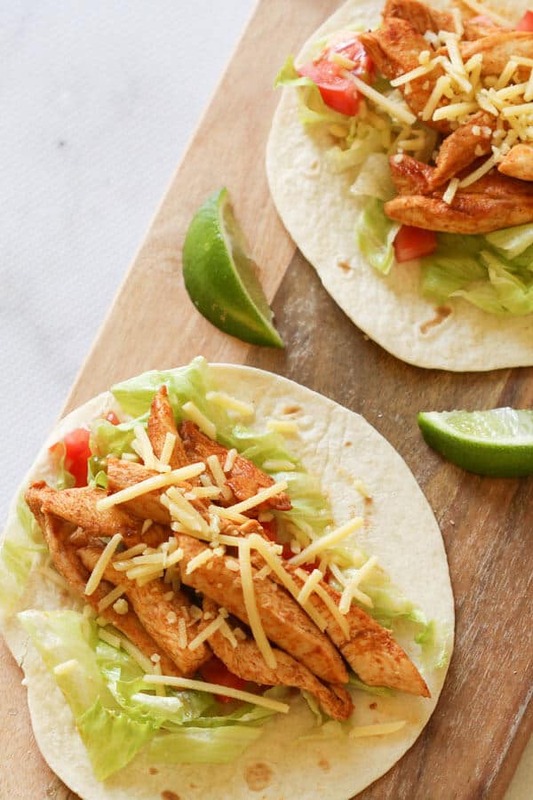 If there’s one recipe on the blog that I’ve made the most, it’s these healthy chicken tacos. I make them at least once a week, sometimes twice. They are a weeknight wonder – ready in just 25 minutes and completely stress free. 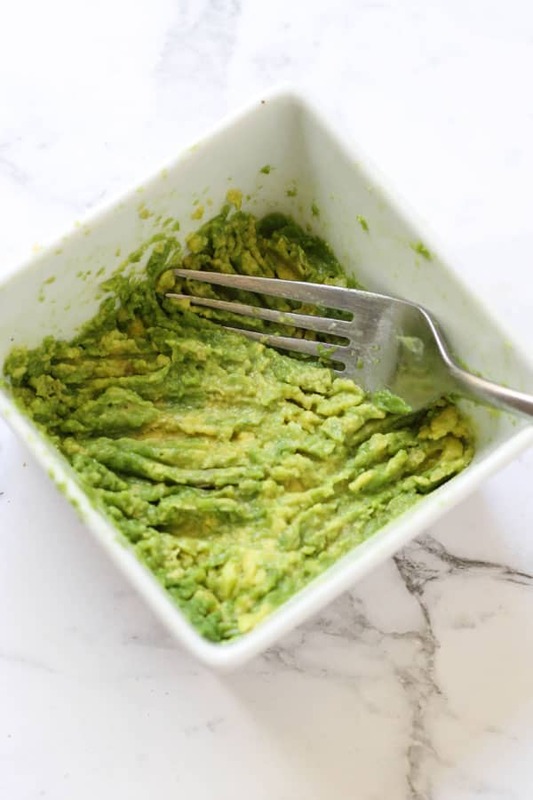 When I first posted this recipe back in January 2018 I would make them on the stovetop. These days I make them in the oven. Both ways work just fine, but I find oven baking the easier of the two given it makes it a one-pan dish and is less hands-on. My favourite way to assemble the tacos is to spread some mashed avo and greek yoghurt on the tortilla, then cover with salsa, a little cheese, the chicken mixture and lettuce. SO GOOD. I’ve made servings for 4 here but you could easily double or triple the recipe to feed a larger crowd. Throw all the fix-ins on the table and let everyone build their own. Perfect particularly if you have some fussy eaters to please. Cayenne Pepper – OR you can use chilli powder if you’d prefer. Red Capsicum / Red Bell Pepper – OR you can use a mix of green / yellow / red. 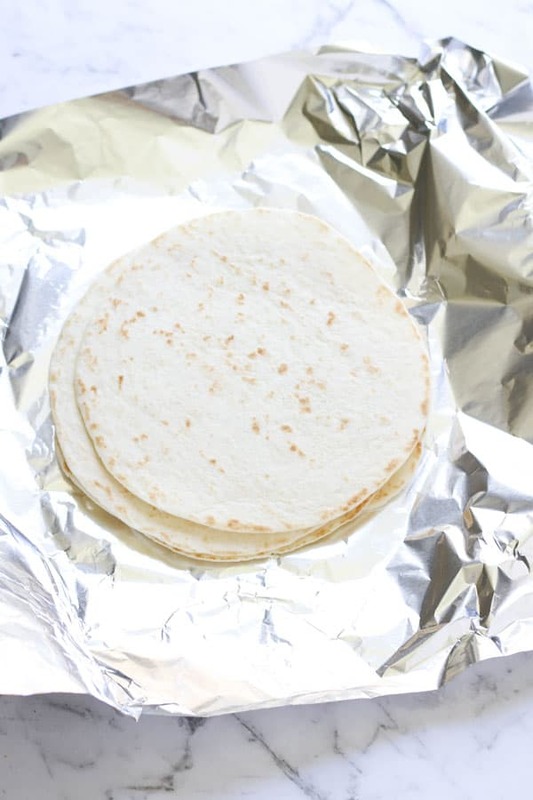 Tortillas – Corn, flour, soft or crunchy – whatever you prefer! Feel free to assemble the tacos however you like. I’ve added some popular serving suggestions below so you can mix and match. You can make these tacos two ways – in the oven or on the stovetop. I prefer making them in the oven. It’s less hands-on, and the chicken is always lovely and juicy. First, preheat the oven to 180C / 350F. 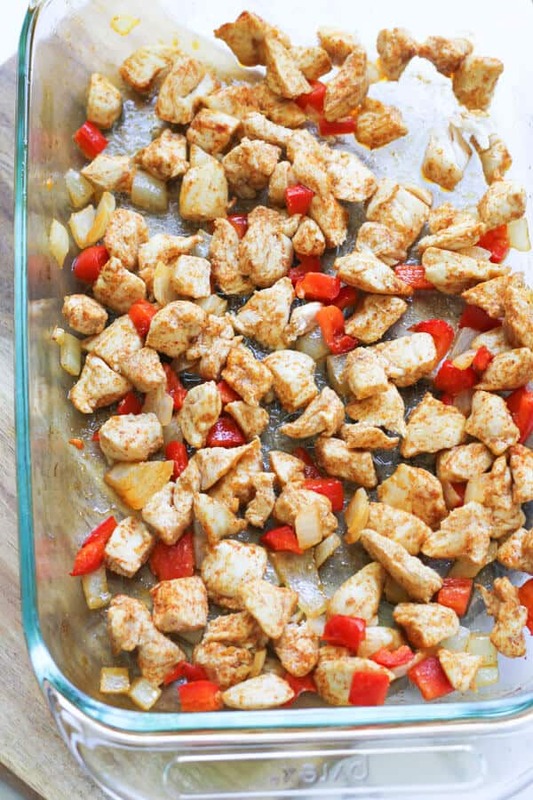 Place chicken, capsicum / bell pepper and onion on a baking tray. Sprinkle spices and oil on top, then mix well with your hands until all pieces are coated. Then, pop the tray in the oven for 15-20 minutes, giving the tray a stir half way. Assemble tacos with your favourite toppings and enjoy. Add spices, oil and chicken into a bowl and mix until chicken is evenly coated. Heat a frying pan on medium-high heat. Cook the chicken in two batches, turning each batch halfway, until the chicken is cooked through (approx. 5-8 mins each batch). Place cooked chicken in a clean bowl. Pour a little more oil to then pan, then add onion and capsicum and cook, stirring regularly, until onion is softened (approx. 1-2 mins). Add cooked chicken back to the pan, mix together with onion and capsicum then remove from heat. Quick tip: Got leftover chicken? Throw it in a salad for lunch the next day. 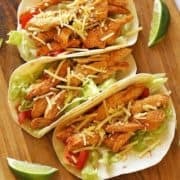 If you’ve tried these Healthy Chicken Tacos I’d love to hear how you enjoyed them! Pop a comment and a star rating below! You can also FOLLOW ME on FACEBOOK, INSTAGRAM and PINTEREST to keep up to date with more delicious recipes. Looking for a quick and easy dinner recipe? 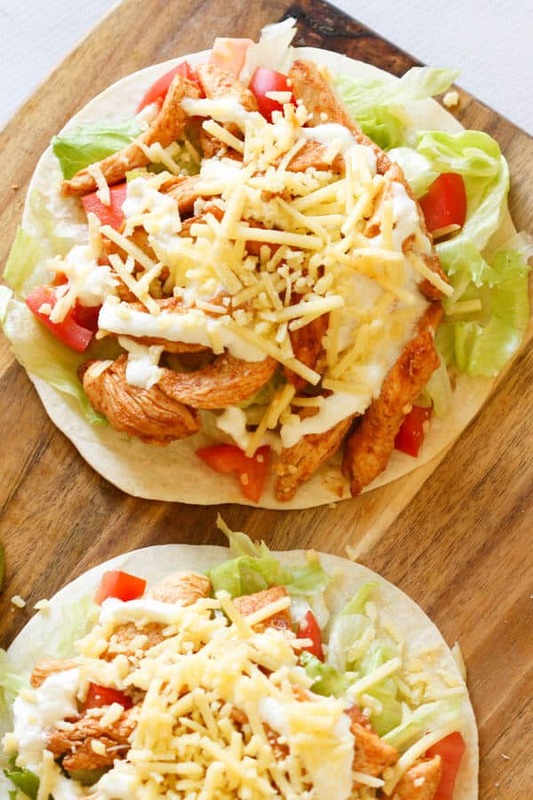 These Healthy Chicken Tacos are the answer. A one-pan dish that's on the table in 25 minutes and full of flavour. 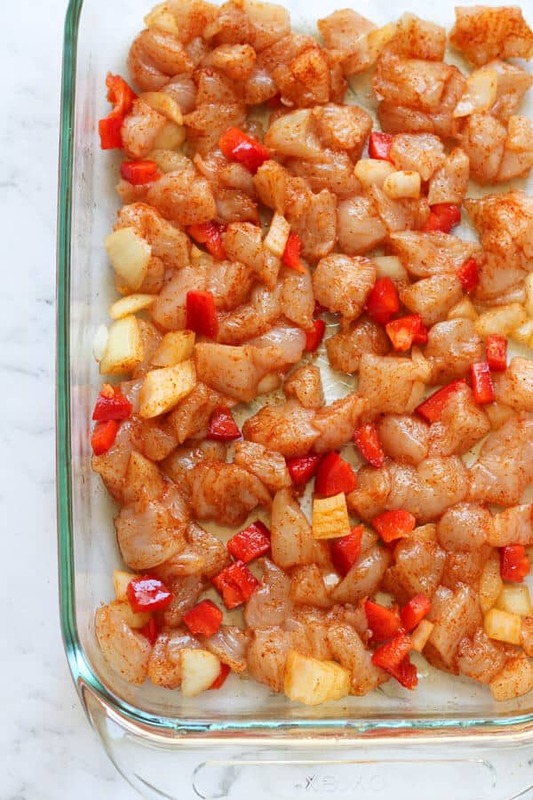 Place chicken, capsicum / bell pepper and onion on a baking tray. Sprinkle spices and oil on top, then mix well with your hands until all pieces are coated. Pop the tray in the oven for 15-20 minutes until chicken in cooked through, giving the mix a stir half way. Assemble the tacos as you wish and enjoy! Pour a little more oil to then pan, then add onion and capsicum and cook, stirring regularly, until onion is softened (approx 1-2 mins). Add cooked chicken back to the pan, mix together with onion and capsicum then remove from heat. TORTILLAS - Feel free to use whichever tortillas you prefer - crunchy or soft, corn or flour - it all works. UPDATE - First Published - Jan 15 2018. Last updated March 22, 2019. Recipe adjusted slightly in accordance to rigorous recipe testing (e.g. eating these tacos every week for a year). Photos updated. Oven cooking method added. NUTRITION - Nutrition information is a rough estimate for one taco without toppings. At what temperature do you set the oven to? Mimi I can’t believe I missed that – thank you for picking this up! I set it to 180C / 350F. I’ll go pop that in the recipe now. Ok this is a dish that my girlfriend will love, thank you for sharing. Oh my gosh these are a family favourite!!! My husband asks for them every week. Yay Jules! I’m so glad you love these tacos! They are our favourite too. It’s such a great weeknight dinner! These look so delicious! What great flavor combinations! I wish I weren’t allergic to dairy, but I’m sure they’d be great with some dairy-free sour cream. I wish we ha some more alternatives here so I could play around with them!